It is ironic that the man whom Europeans came to regard as one of the most influential Arab scientists and philosophers of the Middle Ages, was not exactly appreciated in his homeland. Ibn Rushd (1126—1198), was a native of Cordoba, in Andalusian Spain, and his work covered a broad range of topics in medicine, science and philosophy. He would be known to Thomas Aquinas and other European scholars in the next century as Averroes. And Ibn Rushd was—thanks to Aquinas—destined to have a much greater impact on the European mind than he ever did on Islamic culture. The wanderers who came to Spain and Sicily from Italy, France, the British Isles in the 11th and 12th centuries, did not know it at the time, but their rediscovery of scientific and medical treatises, would, long before Gutenberg and the printing press, lead to Europe’s first information revolution. This revolution was triggered in no small part by a simple demand: for better technology. Or more precisely, a demand for better instructions on how to use technology. Especially the tools of astronomy. These tools included carefully written tables with precise recordings of celestial movements, and books of planetary theory—the most important of which was the great work of Claudius Ptolemy: The Almagest. If you were a monk in France or Italy, intent on projecting the most accurate dates of each year that Easter and other holy days should fall, the only way to get your hands on the most reliable copies of these texts, meant finding a good translation from Arabic (or Greek). And the only way to acquire these … was to hit the road. Such was the origin of the medieval ‘translation movement’, an enterprise that largely took place in Spain and in Sicily between the years 1130 and 1275. But what started out as a search for better translations of astronomical and astrological guides, led first to the discovery of Arabic treatises on the astrolabe and the astronomical tables of the great Muslim astronomer al-Kwarzimi who worked in Baghdad in the ninth century. This led in turn to the discovery of other Arabic textbooks on medicine, philosophy and science by figures such as Ibn al-Haythem and al-Biruni. As Arab philosophers and doctors had long adopted the ancient works of Aristotle, scholars from Europe found themselves rediscovering the Greek philosopher’s source texts as well, source texts that for centuries they had only known from references in other works that merely summarized them—and often not accurately. Back to our hero: Ibn Rushd was writing at the height of this translation movement, although he never came in contact with the scholars in the northern cities of Spain, lately recaptured by Christian dukes. Born in 1126, Ibn Rushd came from a prominent family of judges in Cordoba. He was educated as a physician, but felt strongly drawn to the study of pure philosophy. 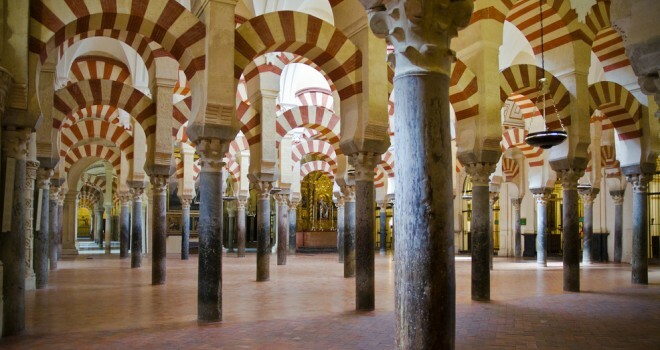 A fortuitous meeting with the Caliph of Cordoba, Abu Ya’qub Yusuf, led to a full time position for the young doctor. Yusuf also enjoyed the study of philosophy in spite of the more conservative attitude that the Almohad dynasty had toward the subject, and he employed Ibn Rushd to write new commentaries on Aristotle to clarify all the major works. Many had been previously translated into Arabic from earlier Syriac versions, but Yusuf found them difficult to understand. This period, the last quarter of the twelfth century, was the time in which Ibn Rushd wrote his most influential treatises, adopting a rationalist point of view—not unlike the view (I discussed recently here) propounded by Adelard of Bath and William of Conches—that would have such profound influence on the pursuit of science in the later Middle Ages–namely, that nature operated according to its own autonomous laws, and that these laws could be fruitfully explored in their own right. After the death of Abu Ya’qub Yusuf, the Caliph’s son al-Mansur continued to support Ibn Rushd for a few years, but by the 1190s, more conservative members of the Islamic schools began to attack the philosopher, and on the excuse of some questionable charges made against him, Ibn Rushd was, at the age of 69, banished from Cordoba to the nearby village of Lucena. Though he did not suffer execution, his books were banned, and indeed most were eventually burned—though not all. He was allowed to return to Cordoba, one year before he died in 1199 when he was 73. But he was not destined to have anything like the influence on Islamic thought that earlier masters such as Ibn Sina and al-Ghazali had. Ibn Rushd was never to know the honor and esteem in which his works would be held by his country’s enemies to the north of the Pyrenees. When Aquinas wrote his Summa Theologica in the latter half of the thirteenth century, he referred to Ibn Rushd as “The Commentator.” When it came to any discussion of Aristotle, Aquinas rarely failed to reference Ibn Rushd’s assessment of any question—even when he disagreed with it. The Latin Christians, for example, believed Ibn Rushd espoused a doctrine of ‘double-truths’, whereby philosophy and theology allow one to adopt two contradictory positions, for example about the eternity of the universe. This was roundly condemned. But as it turns out, the source of this assessment of Ibn Rushd was based on a faulty understanding, due to a lack of access to his complete works. There’s another twist to this tale as well. For an excellent short biography of Ibn Rushd, check out Averroes, written in 2001 by Majid Fakhry, Emeritus Professor of Philosophy at the American University of Beirut. By John Farrell, published in Forbes, June 30th 2014.